Hi Everyone and welcome to the 41st Share Your Style party! This week your hostess is me, Barbara, from the blog 21 Rosemary Lane. I would love for you to stop by for a visit sometime! Here is what has been going on at 21 Rosemary Lane over the past few weeks. 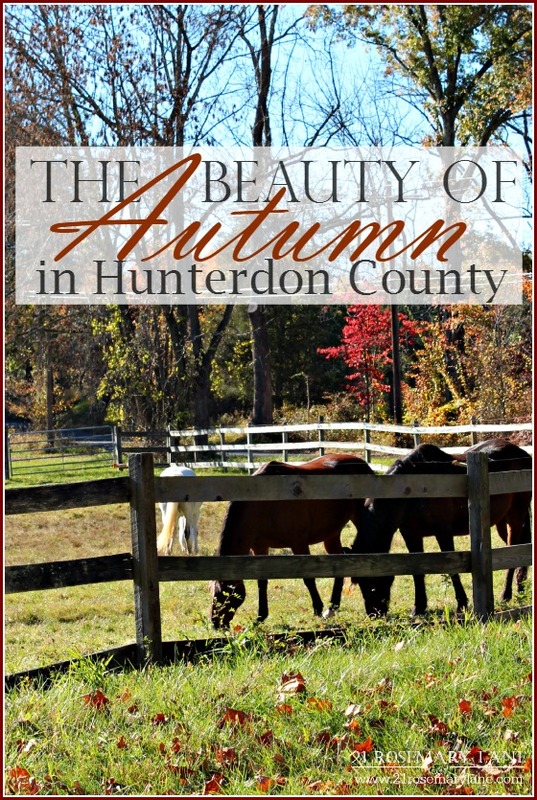 I shared with you some of the fall beauty we enjoy here in the great northeastern United States. This year's foliage was especially gorgeous!! 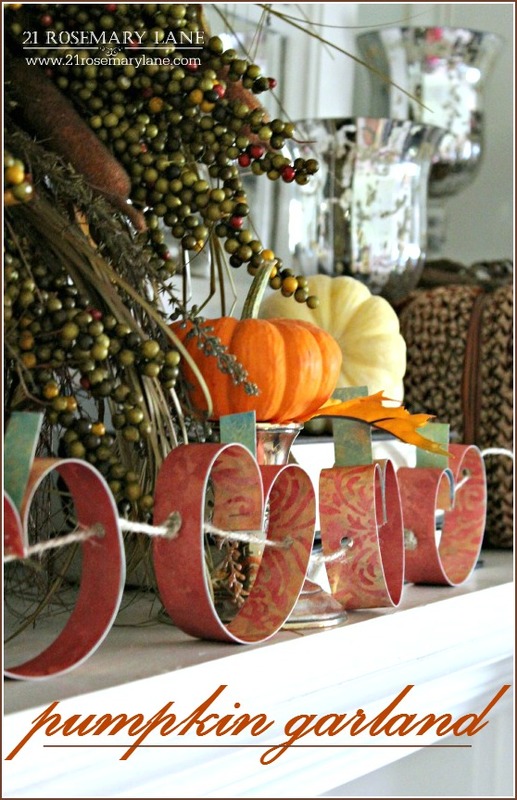 I also showed you how to make this darling Pumpkin Garland. 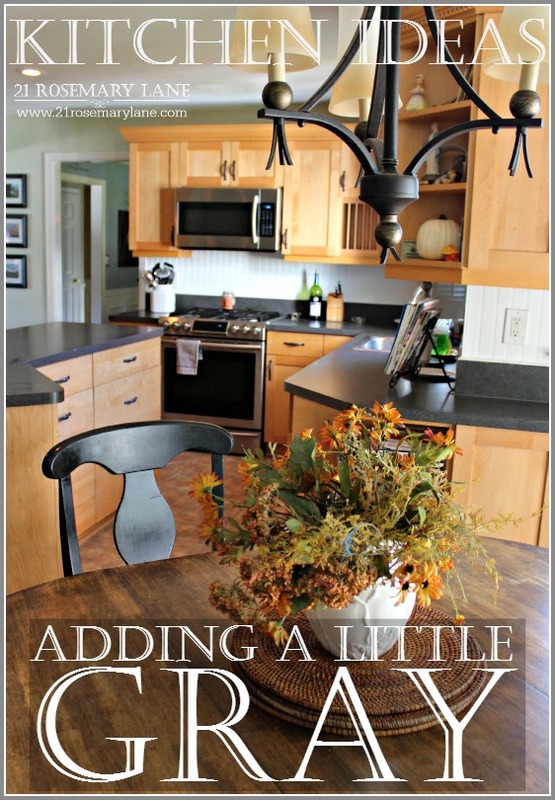 And finally last week I shared a few ideas I have to update our rather boring kitchen walls. The color I have seriously been kicking around is a gray and I plan to pair it with white bead board wainscoting. To see some of my inspiration pics just click here. Hoping to get this part of the kitchen project done before Christmas! And now on to the features!!! 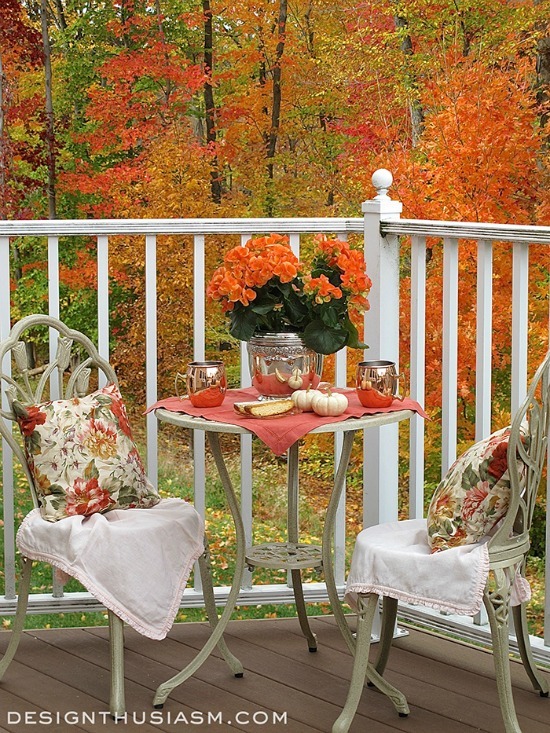 First up is a pretty back porch table setting for two from Lory at Designthusiasm. I am so crushing on those colorful pillows by Ralph Lauren and just look at that view...gorgeous! 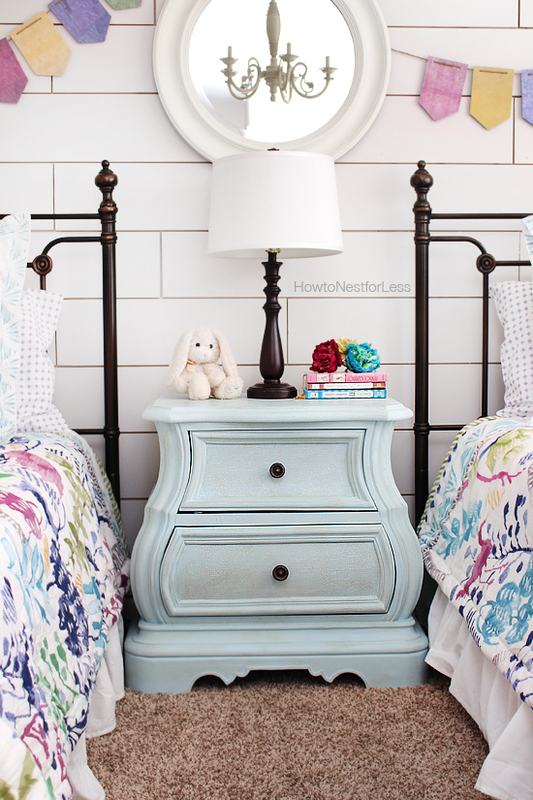 Next is a darling cracked patina nightstand Erin from How to Nest for Less refinished for her daughter's bedroom makeover. Hop on over and check out how she created this lovely patina look as well as the rest of her darling room. 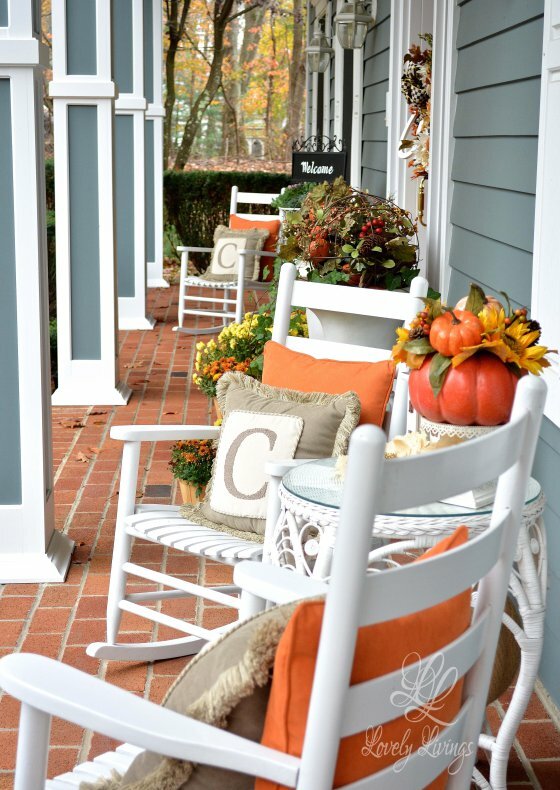 Now we are going back outside to take a peek at a beautiful front porch put together by LuAnn from the blog Lovely Livings. I just adore all of the mums, pretty pumpkins and white rockers with orange pillows. Sooo welcoming! OK I admit it...I am a complete sucker for anything chocolate. 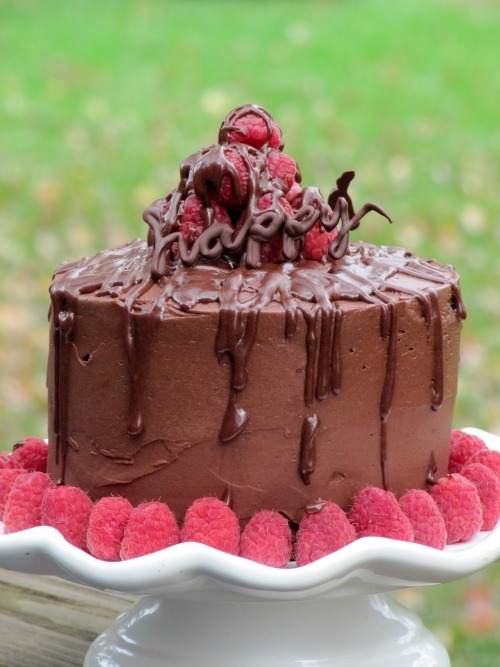 This gorgeous Chocolate Buttermilk Cake with Whipped Chocolate Buttercream Frosting was created by Once Upon a Chocolate Life. Isn't it stunning??? Someone please hand me a fork!!! 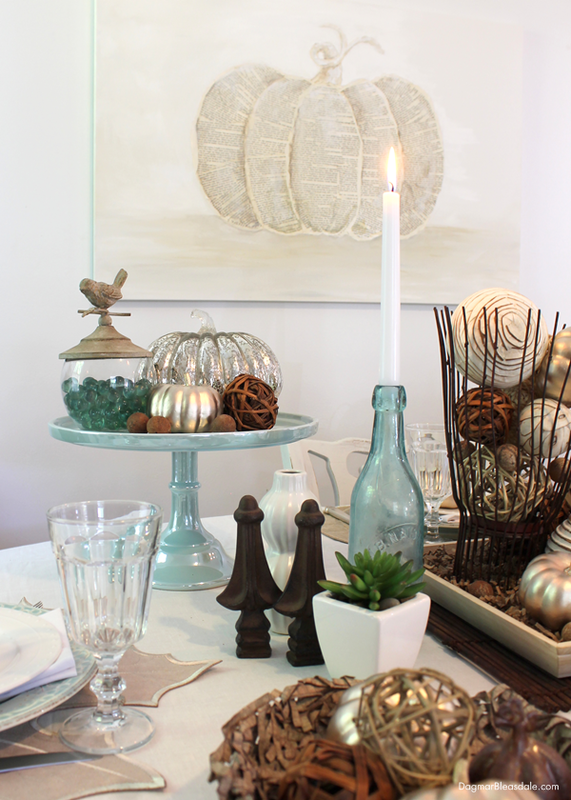 For those of you who are still looking for some Thanksgiving table setting ideas, Dagmar from the blog Dagmar's Home shared seven wonderfully inspiring and easy Cottage Thanksgiving Tablescapes. If your link has been featured please make sure to grab our feature button before you leave the party! And remember when you link up to one blog you are linking to all six blogs! Thank you for featuring my night stand project this week! Hope you and your family have a nice Thanksgiving! The features are beautiful this week! Thank you for hosting. Sharing with your party this week my Mexican Chocolate Glazed Donuts. YUMMY! Enjoy! Thank you for hosting. Hope you have a nice Thanksgiving! Thanks for the party. Happy Thanksgiving! Happy Thanksgiving! I just love your blog. It is so well thought out! Happy Thanksgiving. I am so thankful for such wonderful blog friends that I feel like are true life friends like you. Hope your day is the best. Thanks so much for hosting!! Happy Thanksgiving!! Hoping to re~join you, soon!! !